“The Scorpion King: Book of Souls 2018 subtitrat hd in romana” film 11 Comentarii sunt. February 8, 2019 'scris Ã®n. Superb, poate apare si partea 2 Nota 10 ! 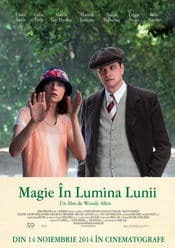 un film de nota 10 merita vazut ! Un basm frumos! Traducerea si subtitrarea foarte bune. MIE MI SA PARUT UN FILM FFF PROST IN COMPARATIE CU CELE ANTERIARE , MI SE PARE FCT DE UN AMATOR…. SCENELE SAR DE LA UNA LA ALTA FARA ACTIUNE … CEI CE AU EXPERIENTA SI ISI POT DA SEAMA DE UN FILM DACA ARE CALITATE SAU NU SI IMI VOR DA DREPTATE …. February 12, 2019 'scris Ã®n. Un film Bun nota 10 de la mine. February 14, 2019 'scris Ã®n. February 17, 2019 'scris Ã®n. February 24, 2019 'scris Ã®n.